The ceremony of raising the Ukrainian flag took place on Sofiivska Square to the sounds of the orchestra. August 23, on Sofiivska Square in Kyiv a solemn ceremony of raising the national flag took place. The ceremony was attended by the Head of the National Security and Defense Council Oleksandr Turchynov, Verkhovna Rada Speaker Andrei Parubiy, the full Cabinet of Ministers headed by Vladimir Groisman, the Heads of the General Staff and the National Guard of Ukraine, as well as the Head of the Kyiv City State Administration Vladimir Klichko. After raising the national flag, the President of Ukraine stressed that a lot of Ukrainian people perished for this symbol. "Today we raise our national flag and bow our heads to those who gave their lives for its heavenly golden color, for glory, for the people," Petro Poroshenko said after the flag was raised. 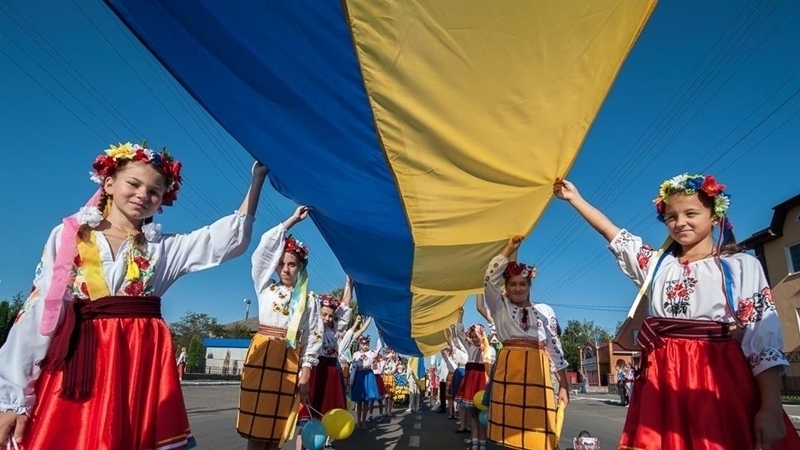 The President said that on August 24, on the Independence Day of Ukraine, during the parade, the banner of the first Ukrainian regiment named after Bogdan Khmelnytsky and the combat flag of the 3rd Infantry Zalizna Division of the Ukrainian People's Army will be raised. In his speech, Poroshenko noted the importance of consolidating political forces for the sake of national interests of the country faced with external aggression. "Unfortunately, due to egoism or blindness, some politicians are unable to discern the fact that in the conditions of external aggression particular red lines exist that must not be crossed," the Ukrainian President said. Poroshenko also assured that Ukraine would do everything possible to become a member of the European Union and NATO. "Working persistently we will approach those days when, in perspective, Ukraine will become both an EU member and a NATO member," he said.